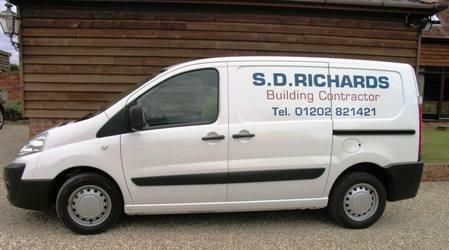 The company of S D Richards has over 30 years of building experience in all facets of the construction industry and has built a reputation for high class workmanship and attention to detail. The company employ a number of highly skilled craftsman and have built up a strong affiliation with both local and national specialist sub-contractors. Our reputation is based on producing high quality workmanship with an in depth knowledge of construction, combined with our own site management teams and in house administrative staff. We are a registered NHBC builder. The National House-Building Council is the standard setting body and leading home construction warranty and insurance provider for new and newly converted homes in the UK. To find out more about the NHBC please click on the logo.